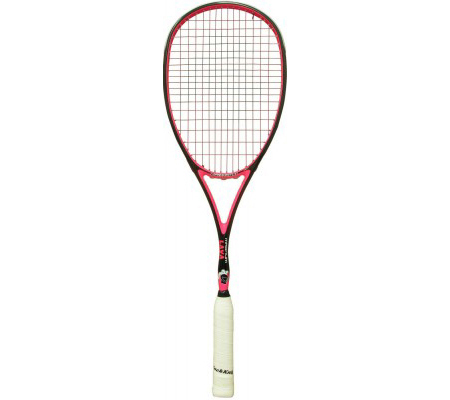 The Lava squash racket is part of the Magnum Series from Black Knight. The Magnum models feature wide heads with large stringing surfaces, stiff frames and the Magnum bubble shaft, which has been designed for better flex response and reduced vibration. The Magnum Lava is a medium stiff bridged frame which is ideal for players of all standards who are looking for a racket which provides total control whilst letting the frame provide the power with an easier swing. The head size of the Lava is slightly smaller than other magnum models which helps provide a more concentrated sweet spot. The Lava features PowerNick 18 string which increases the weight of the head slightly, ideal for those looking for a heavier headed balance.